“The whole is more than the sum of its parts”, the saying goes. That’s so true in a multi-faceted business like ours. MDL is best known for technologically-advanced equipment that sets it apart from the competition, both for those clients who buy it or rent it from us. In either case, it is the same team that brings the benefits of MDL innovation to fruition: from assembling it, to operating it, to then maintaining it in top condition. 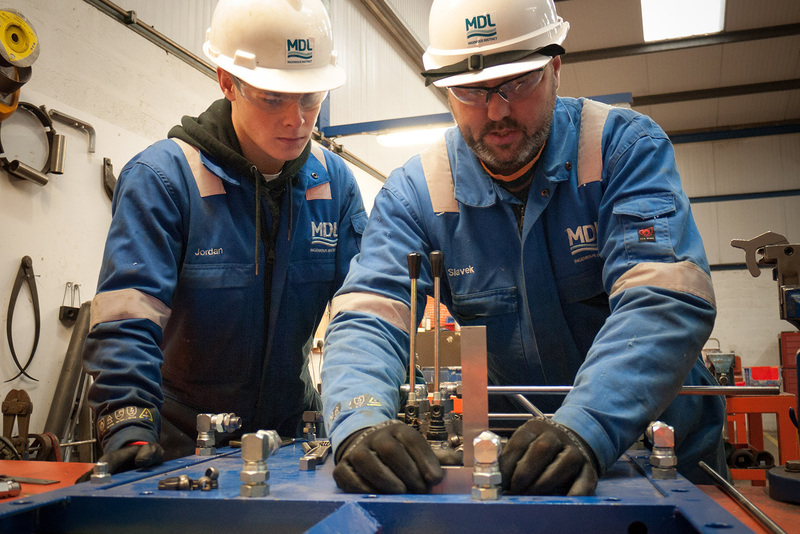 Participation in all stages of equipment delivery is a prerequisite for an MDL employee to move into the Offshore Service division - and this intimate knowledge of the kit makes the MDL personnel the most seasoned operators in the field. Gaining that knowledge, as well as our ability to fully customise the equipment to the customer’s or project specification, is possible thanks to the complete capabilities we hone in-house. This is also the firm foundation for MDL Marine Services. 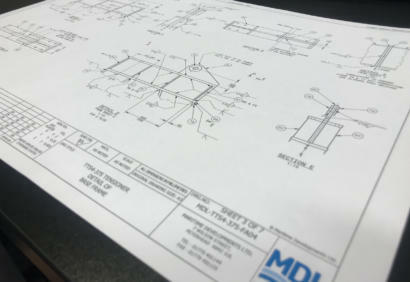 Since its beginnings in 1999, MDL has grown organically: starting from a primarily hydraulic servicing company, catering for the fishing businesses around Scotland, to gradually incorporate manufacture, machining, electrical, software and engineering expertise, as the demographics and the dynamics of our client base increased. Having all departments under one roof gave the company its edge when it firmly entered the oil and gas business with its rental offering: not only can we build our internal fleet to our own design, but we can also maintain and upgrade it from the comfort of our own testing facility, keeping it always ahead of time. Now, the beauty is that whatever we can do for ourselves, we can also do for our clients and their own equipment - just like we did back in the fishing days. In fact, our fishing heritage is a huge contributor to the proficiency of our Marine Services. It’s not just about the work that we can do, but - even more so - about the attitude that we take. A usual week in the Marine Services department will involve, among others: deploying personnel to conduct maintenance and repair work at client’s facilities; project management of local scopes such cold stacking, reinstatement or transpooling; as well as fast-tracking small-scale manufacturing projects from identifying a client’s need to deploying a solution that makes a difference from day 1. One recent example was the result of a meeting with a moorings company who expressed concerns over how time consuming reel change outs were on their spooling machine - a routine procedure typical of their business. We discussed the problem with the client and came up with a simple and effective solution to reduce their time and safety concerns. We developed the sketches of what we spoke about and agreed on. We quoted, got awarded the contract, built and delivered the solution as per agreed specification within a 10-day period before Christmas. Since the delivery, the client has voiced how many hours the new solution has saved them in the operations, and how much safer those operations have now become. This quick turnaround was possible thanks to our straightforward, proactive and creative approach to customer support, as well as understanding and appreciating the painful impacts of lost time - something fishing had taught us long ago. 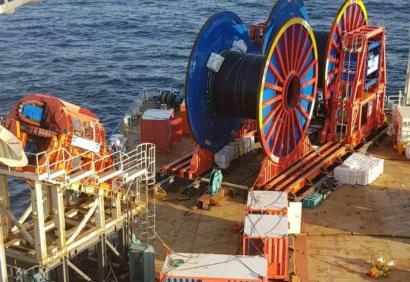 As this example also shows, no job is too small: from minor repairs, to complete refurbs, and from product transpooling to equipment cold-stacking, we can claw back maintenance costs and increase returns from any third-party asset. 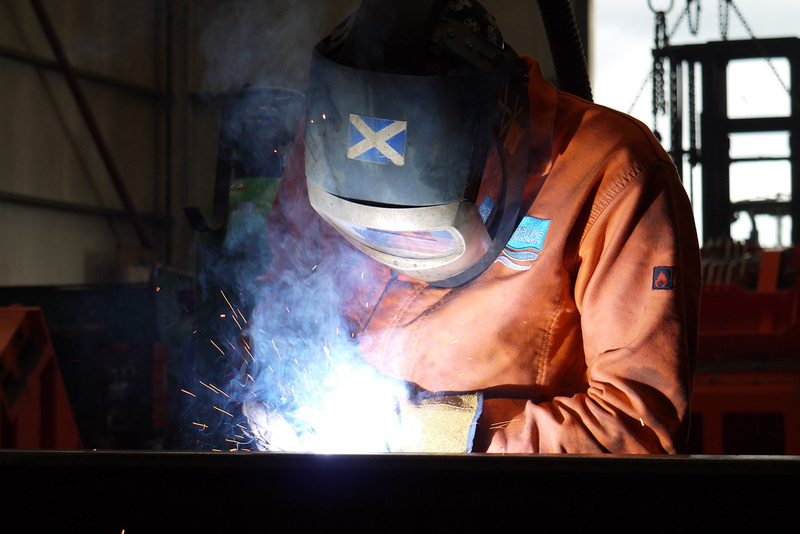 Individually, our people, equipment and customer support are all market-leading. Combined, they’re a cost-saving force that can truly make an impact on the bottom line. 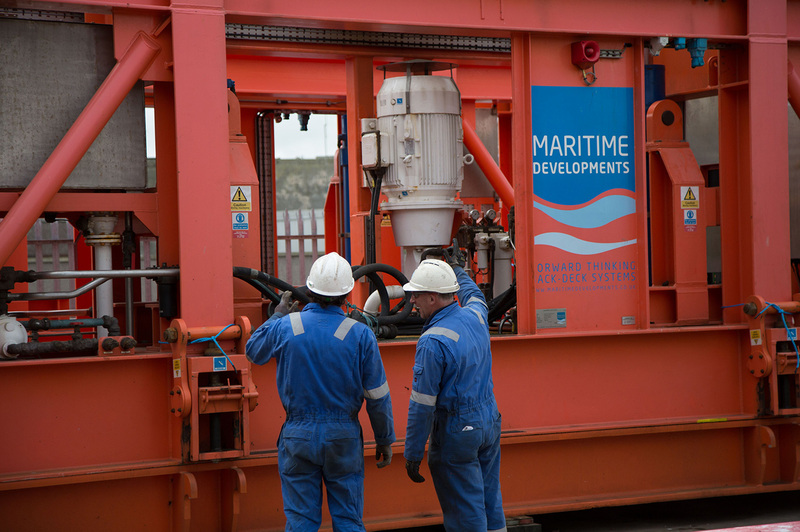 Find out more about the complete scope of MDL Marine Services on this page.